Why choose MyTub for henco mlcp multilayer pipe system? MyTub service is second to none in the UK, no other company aims to fulfill your requirements like MyTub does. We have fully trained and experienced staff ready to take your order, find the nearest branch with the goods ready on the shelf to deliver to your address and ensure you get your order delivered to you as quick as humanly possible. We keep you informed of the progress of your order, good or bad news. Our experienced team offer pre sales service to answer any questions you have relating to the products by liaising with the manufactures. All our henco mlcp multilayer pipe system products are genuine branded goods. If the item is in existence and on a UK shelf we will source it for you, in some cases when the part has even been obsolete for quite some years. Contract pricing and quantity discounts available on henco mlcp multilayer pipe system, our contracts department can also aid in specification if needed. 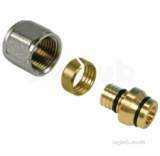 Henco 10pk mlcp rb tee 16x16x14 tee reduced branch. press-fit x press-fit x press-fit. Henco 10pk mlcp rb tee 20 x 20 x 16 tee reduced branch. press-fit x press-fit x press-fit. 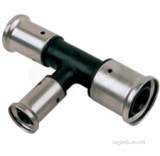 Henco 10pk mlcp rb tee 26x26x16 tee reduced branch. press-fit x press-fit x press-fit. Henco 10pk mlcp rb tee 26x26x20 tee reduced branch. press-fit x press-fit x press-fit. Henco 10pk mlcp rb tee 32x32x16 tee reduced branch. press-fit x press-fit x press-fit. 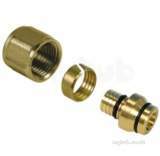 Henco 10pk mlcp rb tee 32x32x20 tee reduced branch. press-fit x press-fit x press-fit. Henco 10pk mlcp rb tee 32x32x26 tee reduced branch. press-fit x press-fit x press-fit. Henco 10pk mlcp rb tee 40 x 40 x 16 tee reduced branch. press-fit x press-fit x press-fit. Henco 10pk mlcp rb tee 40 x 40 x 20 tee reduced branch. press-fit x press-fit x press-fit. Henco 10pk mlcp rb tee 40 x 40 x 26 tee reduced branch. press-fit x press-fit x press-fit. Henco 10pk mlcp rb tee 40 x 40 x 32 tee reduced branch. press-fit x press-fit x press-fit. Henco 10pk mlcp rb tee 50 x 50 x 20 tee reduced branch. press-fit x press-fit x press-fit. Henco 10pk mlcp rb tee 50 x 50 x 26 tee reduced branch. press-fit x press-fit x press-fit. Henco 10pk mlcp rb tee 50 x 50 x 32 tee reduced branch. press-fit x press-fit x press-fit. Henco 10pk mlcp rb tee 50 x 50 x 40 tee reduced branch. press-fit x press-fit x press-fit. Henco 10pk mlcp rb tee 63x63x26 tee reduced branch. press-fit x press-fit x press-fit. 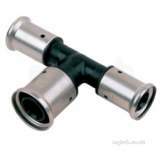 Henco 10pk mlcp rb tee 63x63x32 tee reduced branch. press-fit x press-fit x press-fit. Henco 10pk mlcp rb tee 63x63x40 tee reduced branch. press-fit x press-fit x press-fit. Henco 10pk mlcp rb tee 63x63x50 tee reduced branch. press-fit x press-fit x press-fit. Henco 11pk mlcp re tee 20 x 16x20 tee one end reduced. press-fit x press-fit x press-fit. Henco 11pk mlcp re tee 26x16x26 tee one end reduced. press-fit x press-fit x press-fit. Henco 11pk mlcp re tee 26x20 x 26 tee one end reduced. press-fit x press-fit x press-fit. Henco 11pk mlcp re tee 40 x 26x40 tee one end reduced. press-fit x press-fit x press-fit. Henco 11pk mlcp re tee 40 x 32x40 tee one end reduced. press-fit x press-fit x press-fit. Henco 11pk mlcp reb tee 16x14x14 tee one end and branch reduced. press-fit x press-fit x press-fit. Henco 11pk mlcp reb tee 20 x 16x16 tee one end and branch reduced. press-fit x press-fit x press-fit. Henco 11pk mlcp reb tee 26x16x20 tee one end and branch reduced. press-fit x press-fit x press-fit. Henco 11pk mlcp reb tee 26x20 x 16 tee one end and branch reduced. press-fit x press-fit x press-fit. Henco 11pk mlcp reb tee 26x20 x 20 tee one end and branch reduced. press-fit x press-fit x press-fit. Henco 11pk mlcp reb tee 32x26x20 tee one end and branch reduced. press-fit x press-fit x press-fit. Henco 11pk mlcp reb tee 32x26x26 tee one end and branch reduced. press-fit x press-fit x press-fit. Henco 11pk mlcp reb tee 40 x 32x20 tee one end and branch reduced. press-fit x press-fit x press-fit. Henco 11pk mlcp reb tee 40 x 32x26 tee one end and branch reduced. press-fit x press-fit x press-fit. Henco 11pk mlcp reb tee 40 x 32x32 tee one end and branch reduced. press-fit x press-fit x press-fit. Henco 11pk mlcp reb tee 50 x 40 x 20 tee one end and branch reduced. press-fit x press-fit x press-fit. Henco 11pk mlcp reb tee 50 x 40 x 26 tee one end and branch reduced. press-fit x press-fit x press-fit. Henco 11pk mlcp reb tee 50 x 40 x 32 tee one end and branch reduced. press-fit x press-fit x press-fit. Henco 11pk mlcp reb tee 50 x 40 x 40 tee one end and branch reduced. press-fit x press-fit x press-fit. Henco 12pk mlcp ree tee 16x16x20 tee both ends reduced. press-fit x press-fit x press-fit. Henco 12pk mlcp ree tee 20 x 20 x 26 tee both ends reduced. press-fit x press-fit x press-fit. Henco 12pk mlcp ree tee 26x26x32 tee both ends reduced. press-fit x press-fit x press-fit. Henco 12pk mlcp ree tee 32x32x40 tee both ends reduced. press-fit x press-fit x press-fit. Henco 12pk mlcp ree tee 40 x 40 x 50 tee both ends reduced. press-fit x press-fit x press-fit. 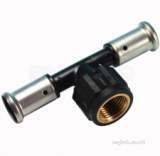 Henco 13 mlcp x compression adptr 14x15 compression adaptor nickel plated. 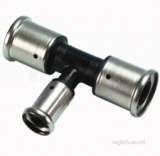 Henco 13 mlcp x compression adptr 16x15 compression adaptor nickel plated. Henco 13pk mlcp x fi tee 16x1/2 female branch tee. press-fit x bsp parallel female thread x press-fit. Henco 13pk mlcp x fi tee 20 x 1/2 female branch tee. press-fit x bsp parallel female thread x press-fit. Many thanks for all your help in securing the special bath needed. Your price was by far the cheapest, but above all the advise and service was first class Steve callbacks and updates was a level of customer service I had forgotten existed. I would be happy to recommend My Tub to anyone.